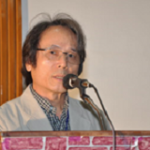 In the following paper―presented as keynote speech at the Gujarat conference on theatre criticism in India in January 2010―Korean critic and President of the IATC reflects on his philosophy of theatre criticism. 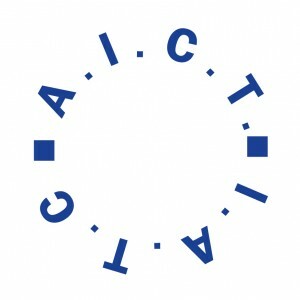 Dans cet article – qui fut une conférence principale au colloque du Gujarat sur la critique de théâtre en Inde, en janvier 2010 –, le critique coréen et président de l’AICT réfléchit sur sa conception de la critique.Theatre criticism is usually directed towards those local readers who want to be advised as to what to see and what not, and this is even more so with journalistic criticism than with academic criticism. This consumer-guide approach to criticism, however, is not very relevant in countries like Korea, where most of the reviews are published posthumously, and then by academic-critics like myself. This is why I am more concerned, in my reviews of domestic productions, about writing the history of production aesthetics than about guiding consumers, more about reading than about judging the performances, and more about educating than about entertaining readers. Criticism is serious work. It is both the end game of theatrical signification and the beginning of a theatrical debate. Journalist critics exert their power to resuscitate dying productions or, from time to time, to close them much ahead of their schedules. Academic critics record the aesthetic history of ephemeral performances with their scientific analyses and relevant readings. Some critics, whether journalistic or academic, feel more pleasure in their power to kill than in shouldering their social responsibility, while other critics are the other way around. Some critics make it their primary goal to entertain their readers, while others seek to serve the art of theatre and its makers. Some critics foreground their value judgments, while others try to make their judgments invisible. 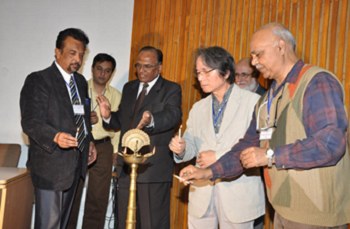 Ravi Chatirvedi (forst from the right), president of Indian Society of Theatre Research. Prof. N.K. Chauhan (first from the left), conference coordinator, Chairman of the Hindi Department of Sadar Patel University. When I think about the function of theatre criticism, I cannot disagree with Michael Billington, who says that “Criticism… is not the last word: simply part of a permanent debate about the nature of the ideal theatre.” (Billington, 1993: xi.) I have always attempted to be faithful to this function of theatre criticism and tried to invite both readers and theatre artists to this debate. I also agree with Charles Spencer, who believes that a critic’s “only loyalty should be to his readers.” The only difference between him and me is that I include theatre artists in the reader category. Arguably, theatre artists are the most fervent and concentrated readers of the reviews of their works. Moreover, how can we exclude theatre artists from that “permanent debate about the nature of the ideal theatre,” when we know it is they who actually make the theatre? It is rather easy to practice criticism when the theatre is good. Your own enthusiasm for the performance will be interesting enough to attract the attention of all three bodies concerned in theatrical communication: theatergoers, general readers, and theatre artists. All you need to do is justify your enthusiasm by means of lively descriptions, scientific analyses, and verifiable evaluations. The difficulty arises when the theatre is not good. It then becomes our critics’ double assignment to verify scientifically why the theatre is not good on the one hand, and still to write an interesting review of the show so that it may attract the attention of all those three concerned bodies on the other hand. A theatre review, rave or negative, should always be interesting in the sense that it claims its moral values of fairness and honesty, its educational value of giving readers insights into the nature of the theatre, its social value of making the theatre matter in society, and finally, its own artistic values of substance and style. Question 1: Have I seen the performance in the best physical condition? Maichael Billington says that critics are rather born than educated. He is right in terms of the temperamental qualities required of critics: innate shyness, preference to belong to the watchers rather than to the watched (Billington: ix). I add one more that I think is the most crucial temperamental quality for a theatre critic: his/her ability to enjoy solitude. This is the quality that guarantees a critic’s fairness, and his courage to be honest. Of course there are exceptional critics who enjoy socializing with practitioners and still remain faithful to their professional ethics. However, exceptions are exceptions. Critics are human, and they share with other humans weaknesses as well as strengths. When they develop good friendships or camaraderie with practitioners, it is difficult for them to remain fair in evaluating their friends’ achievements; they will be more likely to perpetrate ‘constructive criticism’ even when the artists do not deserve it. This is why I never accept an invitation to a private meeting with the artists after a performance. Theatre critics are voluntary loners working in a gregarious art form. In fact, there are two additional obvious qualities for critics to cultivate throughout their careers: sensitivity in the areas of both production and perceptual aesthetics, and openness even to forms and styles they do not have a natural affinity for. These two should become second nature to them if they want to avoid what Patrice Pavis has called, that “ultimately reductive, albeit elegant, [critical] impressionism” (Pavis 2006: 3). Even if you are an ideal, born critic with all of the qualities above, however, you need to see the performances in the best physical condition in order to implement those qualities in your reviews. Through experience I know that the slogan “healthy minds, healthy bodies” applies to theatre criticism, too. I am living an overloaded life just like you, teaching full-time at the university level, serving on several national and international juries and still seeing 150 or so shows each year. This is why I always look tired. Our physical condition affects our mental receptivity enormously. When you are tired, it becomes a little bit more difficult to concentrate. Your mind does not function as well as when your body is fresh. In the worst case, when you are exhausted, you may fall, without noticing it, into a state of blind hostility towards what you are watching. All our efforts to write a good review may end up futile because of our unprofessional/unhealthy physical condition. Whenever I go to see a performance to review it, therefore, I make it a rule to have as much rest as possible before arriving at the theatre. Even on my way to the theatre, I give up that pleasure of reading in the subway and close my eyes to protect them from getting tired. In order to stay alert throughout the performance, I do not drink before a show. And I can assure you that the wine or beer that you drink after a show is much more delicious and refreshing than the one you take before the show. I, too, fall asleep from time to time during a performance when I am extremely tired, or when the show is extremely boring. In that case, I do not review the show. If I have to review it, I see it again. Of course this is a luxury that journalist critics cannot enjoy, whose deadline is much more harrowing than that for academic critics. I believe that the work of theatre makers should be respected no matter how great or ignoble their achievements, and that critics should watch the theatre in the best physical condition as a sign of respect, not only for the integrity of their own job but for the artists’ work, as well. 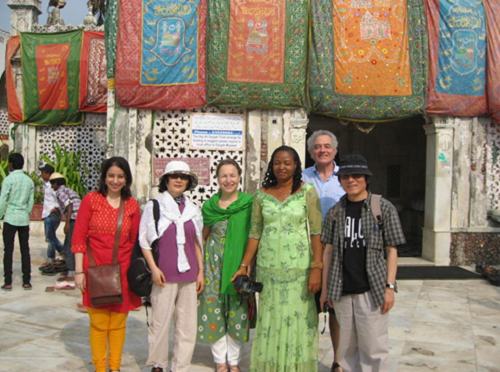 From left: Deepa Punjani, president of Indian section of the IATC, Sangae Chang (Korea), Margareta Soerenson (Sweden), Prof. Ngozi Udengwu (Niger), Michel Vais (Canada), and Yun-Cheol Kim (Korea). Question 2: Have I Generated Social Interest in the Theatre Arts? I firmly believe that the most important function of theatre criticism is—and should be–to generate interest in the theatre arts in society. 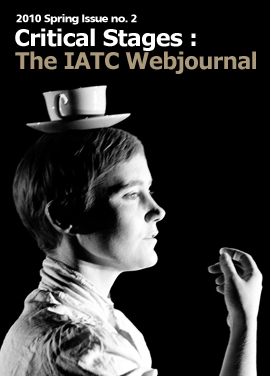 Eric Bentley has reiterated over and over again that the most important thing for a good theatre critic is intelligence—a point he made most recently in his interview for the inaugural issue of Critical Stages, the IATC Webjournal (www.criticalstages.org). This intelligence, I believe, is most needed when the critic attempts to read the relevance of a performance to society, to the spectators’ everyday life. This is a very challenging assignment for theatre critics—challenging because in today’s theatre the connection between drama and theatre is becoming ever more irrelevant, and the boundaries between artistic genres are blurring. But we need to remember that every theatre work is a comment on society. It may be true that much of contemporary theatre employs new theatricality that denies logocentric communication. Nonetheless, theatre critics should be well-informed enough to read the relevance of a show to society. Michael Billington’s political reading of Harold Pinter’s absurdist plays is a good example of this. This social relevance interests people in the theatre arts. I confess that my usual answer to this Question 2—have I generated social interest in the theatre arts?—is ‘No.’ Of course it is quite disappointing to be disappointed in my own achievement. Fortunately, however, I am a diehard hope-er, and this frequent ‘No’ simply motivates me to work harder and harder. Question 3: Have I Created an Interesting Review? Let me close with one more confession concerning this last question—one to which I can only once-in-a-long-while answer ‘Yes.’ More frequently than not, I find my draft of a review to be either intellectual or humorous, in spite of my wish for it to be both intellectual and humorous at the same time. But again, I don’t usually get disappointed with my own disappointing achievements. For critics, getting disappointed is not professional. To stay hopeful is. Thank you. Billington, Michael. One Night Stands (London: NHB, 1993). Pavis, Patrice. Analyzing Performance (Ann Arbor: University of Michigan Press, 2006). Wardle, Irving. Theatre Criticism (London: Routledge, 1992). The Daily Telegraph, November 2, 2009. 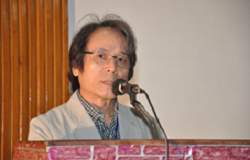 Yun-Cheol Kim is President of IATC; teaches in the School of Drama, Korea, National University of Arts, Korea; and edits The Korean Theatre Journal, a quarterly. Two-time winner of the “Critic of the Year Award,” he has published nine books so far, two of which are anthologies of theatre reviews. Charles Spencer responds to the draft of the IATC code of practice in his column in The Daily Telegraph, November 2.